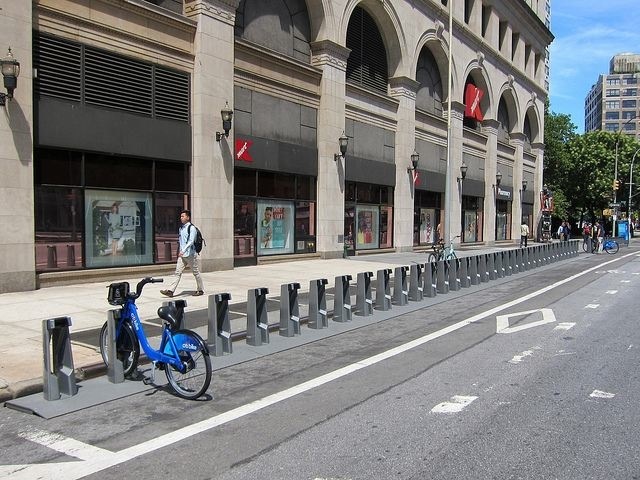 Now that Citi Bike has remedied at least its most pressing technical problems (though a quick trip to the program's Facebook page reveals that plenty still exist) the city is working to tackle its next big issue: Distribution. Our own Jake Dobkin aired his dock-blocking grievances earlier this summer, lamenting the tendency of DUMBO stations to fill up by 9 a.m., an obvious problem for the commuter who arrives at work at the same time as the rest of the office knaves jostling for a coveted spot in the rack. Dobkin—nor DUMBO—are alone in this struggle. The Times reported today that the city is stepping up its efforts to "rebalance" the racks more reliably, so that frazzled commuters won't have to wonder whether they'd have been better off just walking or taking train. The DOT is adding three more large trucks to transport the bikes, as well as introducing bike trailers—bikes that haul other bikes through trafficked areas that would otherwise delay a truck. It's also erecting three "staging areas" around Manhattan, which will allow for more prompt delivery than the usual process of bringing them from the warehouse in Sunset Park. But the perception that the distribution issue is somehow more minor than a technical glitch seems wrongheaded. Ultimately, it doesn't matter what the problem is—a transit system must be reliable in order to be useful. Walking into work late because you couldn't find an empty rack or, conversely, because all the bikes are gone is precisely the same as walking in late because your bike wouldn't dock. Late is late, especially in the eyes of the bosses, who probably just assume you're hungover, anyway. It's not for nothing that Washington D.C, which has been in possession of its own bike share program for several years, still suffers from serious dock-blockage. 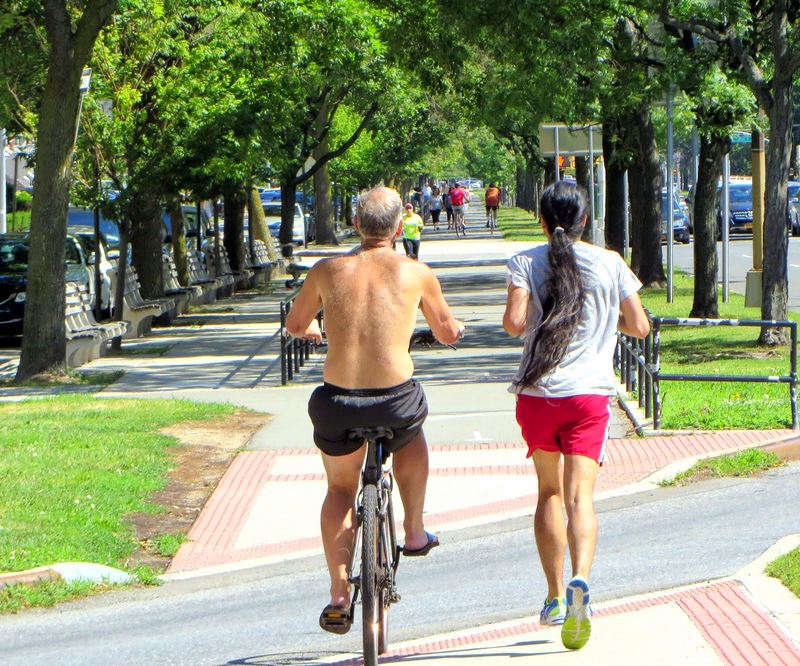 I took a trip there myself in May, and I can tell you that the problem is grave—a person should never find themselves in a foot race across Independence Avenue against a man sporting a rat tail and JNCO's for the last slot in the Capital Bikeshare rack. Which I did not. But is the anxiety of wondering whether a Citi Bike—or a space to dock it—will be available better or worse than wondering whether the train will show up? That depends. At least the subway, occasionally, offers its own rewards: We still haven't seen a shark riding a Citi Bike.